My dad and I spent two full weekends rebuilding our deck. It was decades old. We spent the first weekend tearing it down, and the second putting it back together with new pressure treated wood. 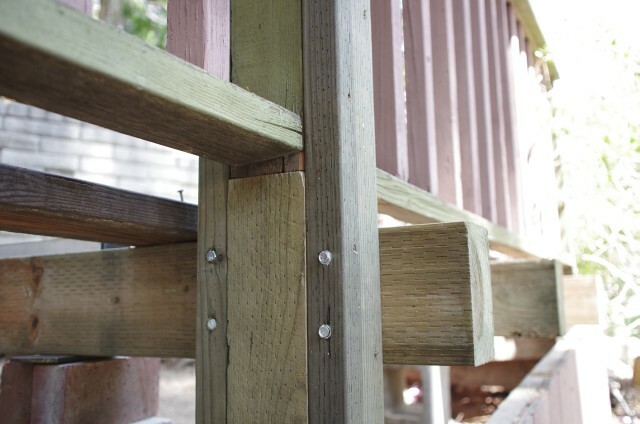 We kept the same style and original railings, but added extra structural support and wood sealer to areas where the old deck seemed to break down first. 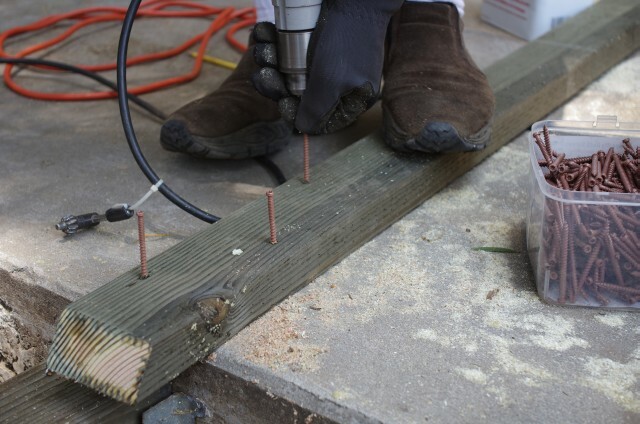 We also used rust resistant decking screws instead of nails.